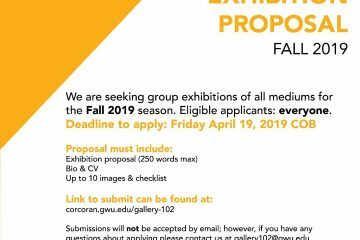 Interested in creating a portfolio? Want to learn how to strengthen your portfolio? Curious to learn what it takes to win an award?Join us for an upcoming INFORMATION SESSIONS to learn about our BRAND NEW WEBSITE (www.bakerartist.org), and learn how past Baker Artist Awardees approached creating their portfolio! Chicago based artists Amber Ginsburg and Aaron Hughes work collaboratively to uncover moments of beauty, poetics and shared humanity within little known military histories. Taking as its starting point the curious love story of a Guantanamo Bay guard who fell in love with the drawings carved on Styrofoam cups by detainees, the Tea Project is an ongoing series of exhibitions and performances that offers counter-narratives to disrupt the numbing effects of war and detention. At Gallery 102, in the company of the full installation of 779 porcelain tea cups, one for each individual that has been detained at Guantanamo, Ginsburg and Hughes will host events that allow audiences a role in telling the story of our current involvement in war and detention with a specific focus on the legal and human rights issues surrounding Guantanamo Bay Detention Camp, the Global War on Terror, and growing Islamophobia. Alongside the Tea Project will be the works of Ghaleb Al-Bihani and Djamel Ameziane. 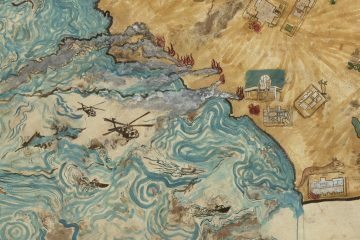 Shown for the first time, on view will be a substantial collection of the more than 200 works by Ghalab, who has been detained without charge in Guantanamo since 2002 and cleared for transfer since 2014. Ghaleb, who discovered a talent for art in routine classes offered to detainees, told us, “Painting makes me feel as if I am embracing the universe….I also see things around me as if they were paintings, which gives me the sense of a beautiful life.” The Tea Project is also grateful to show three pieces of work by Djamel, an Algerian national who was detained without charge in Guantanamo from 2002 to 2013. For more information visit www.tea-project.org or call Aaron Hughes 217-898-9083. All Events Are Free and Open to the Public. Schedule listed below. Join us for a night of tea, art, poetry, music, and words by artists, activists, and leaders in the movements to end state violence that is perpetuated through indefinite detention at Guantanamo, police violence in our communities, and the institutionalization of Islamophobia. Speakers will share stories of hope and learnings from the front lines of their work. Tea will be served throughout. Join Witness Against Torture as they break their weeklong fast in solidarity with hunger strikers in Guantanamo. 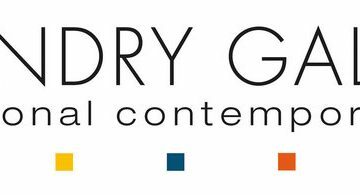 Attend a grant workshop to learn about the application process for a Rubys Artist Project Grant as well as about general grantwriting tips and strategies. RSVP to attend any of these workshops here. Hear Senior Curator Katy Rothkopf’s insights on the conception and development of Matisse/Diebenkorn and how the artists’ works have been paired in this landmark exhibition. Before the event, see Matisse/ Diebenkorn during extended evening hours. Tickets for the exhibition may be purchased online or in person at the East Lobby Box Office. There is no fee for the talk, but tickets are required due to limited capacity. Celebrate the life of Dr. Martin Luther King, Jr. and his legacy through the lens of debate. 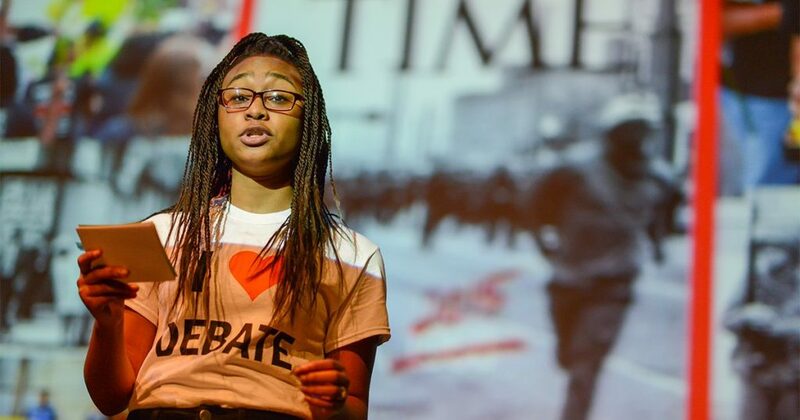 See how King’s oratorial skills continue to inspire the current generation of youth leaders through presentations by the Baltimore Urban Debate League and Leaders of a Beautiful Struggle. Take part in art-making activities and stop by the Pixilated Photo Booth to commemorate the evening. <><><><><><><><><><> Impact Hub Turns One! 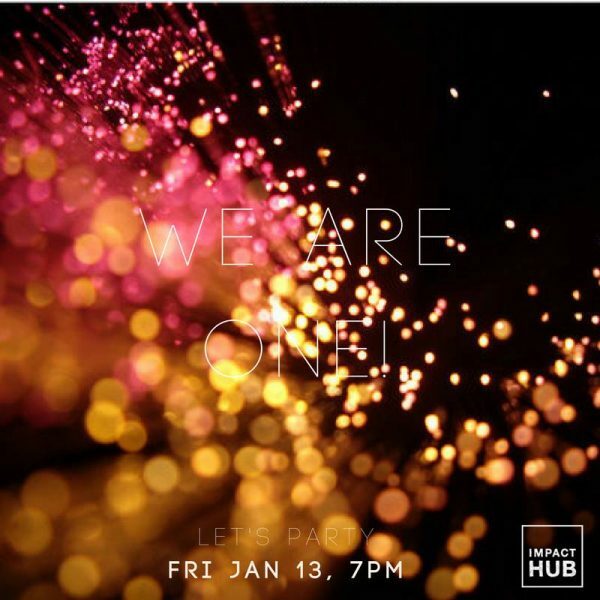 Impact Hub is turning ONE ! And YOU are cordially invited to celebrate with us. Come enjoy food, cocktails, live music + merriment as we celebrate our first year And raise a glass to all of the amazing people who have made this space come to life. Attire is fun + festive. Free + open to the public. Donations help to grow our scholarship fund. Atsuko Chirikjian examines “Time and Space” through the material of Fiber. In this exhibition, “Tracing Threads”, Chirikjian shows us a new installation piece from her two bodies of work, Stain Project and Canvas Project, both of which have been created by using threads, water, and dye. Using the processes of capilary action and chromatographic staining and the deconstruction of traditional materials, Chirikjian calls the viewer’s attention to the structure of materials, the passage of time and memory, and the temporal sequences of the work itself. Atsuko Chirikjian is a Baltimore-based mixed media/Fiber artist who was born in Japan. Her works have been shown in national and international exhibitions. Recently she has show in Brooklyn, NY, Philadelphia, PA, St.Louis, MO and Belgium. She received an honorable mention in Fiber Options (Circle Gallery, Annapolis, MD) in 2014. Most recently, she was a semi-finalist for The Trawick Prize (Washington DC) in 2016. She earned her MFA in Fiber from Cranbrook Academy of Art. Join us on Saturday, January 14, 2017 at 1pm for a special event with Phaan Howng in her installation, ‘Biological Controls: If it Bleeds You Can Kill It’. Phaan Howng and special guest artists will read poems about mankind’s continual descent into the Anthropocene epoch. Attendees are also invited to write and recite their own poems! Light snacks and Bloody Mary cocktails will be served! Through cinema-sized landscape paintings, sculptures, and installations, Phaan Howng stages the sublime and formidable beauty of an Earth post-human life, discussing what she terms as an “optimistic post-apocalypse.” Influenced by her sympathy for nature (and disappointment in humanity), Howng’s work deals with the current crises of world ecology and the Anthropocene era. Biological Controls: If It Bleeds We Can Kill It is an immersive environment based on her concept of a nature-built defense system—an organic war chest in which flora and fauna unify to overwhelm, confuse, and to make itself inhospitable should humans reappear. Howng draws influence from the John McTiernan movie Predator, where the roles between humans and the environment are reversed and the environment becomes the Predator and humans are the hunted. Current is proud to present solo exhibition Tumbleweed Replica by Christian Michael Filardo. Christian is a Filipino American photographer and composer living and working in Santa Fe, New Mexico. He received his degree in performance art from Arizona State University in 2012. His work focuses on time, identity, and space. 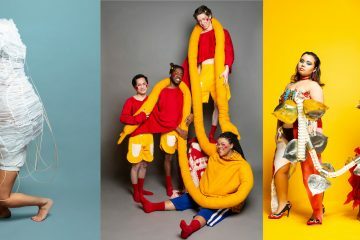 Filardo has exhibited and performed both domestically and internationally. 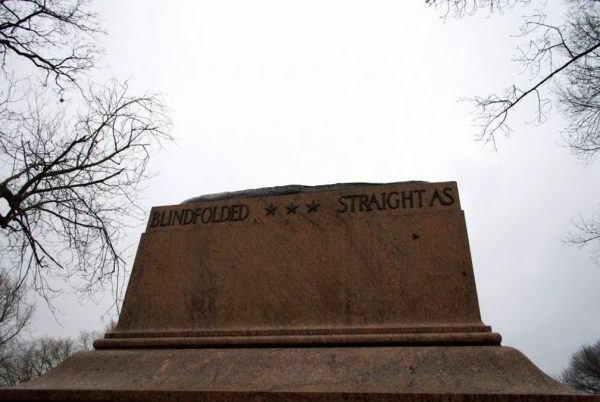 Upon moving from Baltimore to Santa Fe in 2015, Christian was awakened to identity issues. He began to explore and discover himself through point n shoot 35mm film cameras, tape loops, and auditory textures. Christian used photographs to help define the mundane existence of modern life by documenting his everyday life in an extremely compulsive way. Through this impulse, he found himself coming to terms with his existence on Earth and began trying to comprehend what he has and has not done. Exploring the latent image he began trying to figure out how to make something nostalgic permanent. 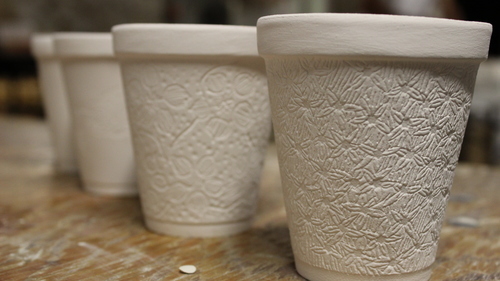 Tumbleweed Replica is the culmination of this experimentation and exploration. 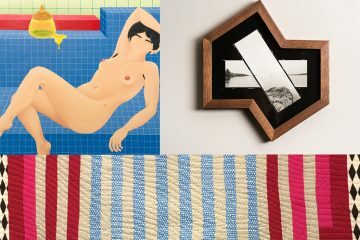 In conjunction with the artists, Current Space is proud to put together a group exhibition, Dream World Real World, featuring 11 artists and their latest work. In the Dream World, there are endless possibilities, ideas, scenarios, causes, and outcomes. In the Real World, there are also endless possibilities, ideas, scenarios, causes and outcomes. When I was a boy, I loved to read manga. One of the many stories that stuck with me is the Long Dream by Junji Ito. From what I remember, the story is told through the journal of a psychiatrist who monitors patients with dream disorders. The main character (a monitored patient) progressively develops longer dreams each night. From dreams that seemed to last hours, to days, to months, to years, to a life time, and eventually forever. The physical body of the patient aged and his manner altered as if from another century in accord with the progression of his dream. Eventually the patient’s body crystallized as his dream lasted forever. The psychiatrist chipped off a fragment of this crystal and fed it to another patient who is frightened of the inevitability of death. This enabled the patient to live forever in her own dream. I am captivated by the actual physical change of the patient as he is affected by his dream. I know for sure that what happens in our Dream World will affect our ideas, possibilities, scenarios, causes and outcomes in the Real World. As a group exhibition, Dream World Real World investigates visual possibilities that evoke personal mythology. 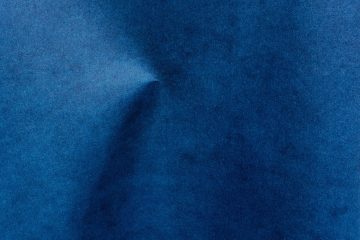 Join us on Saturday, January 14th from 7-10pm for the opening of ‘Standing Still’ a solo exhibition of new work by Erin Fostel. The architectural drawings Erin Fostel is currently working on came about through grieving the loss of her father in late 2014. He was an architect who enjoyed exploration, always interested in finding new ways to get from here to there. She wanted to create a body of work that served as both a commemoration of his life, and a relief from the heartbreak of his death. She started exploring parts of Baltimore City she did not know well. At some point, she began taking photographs of certain buildings and structures that caught her attention, ones she thought would have been of interest to her dad. These ruminations, explorations, and photographs have become the foundation for her new body of work. 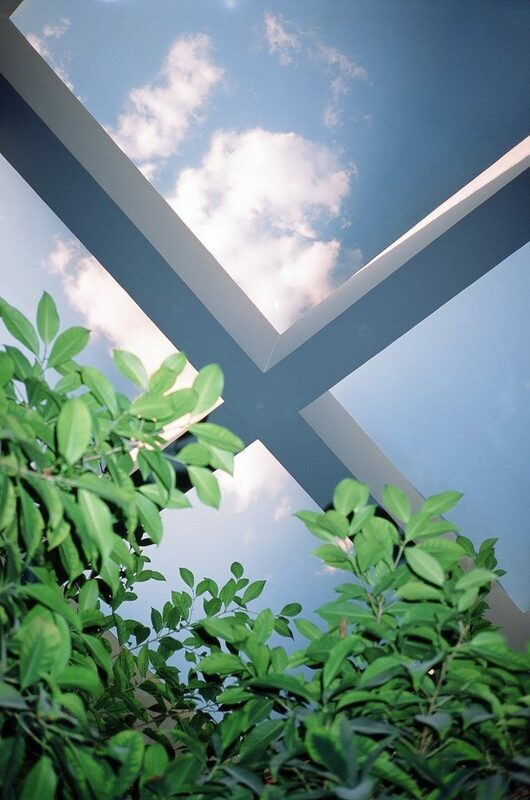 Fostel’s goal is not to simply document buildings. She wants to capture feeling, either her own somber feeling or a feeling she thinks a building can personify. She often manipulates the light and dark areas within her compositions, taking artistic liberties when applying the charcoal. As she has progressed in the series a desire to leave parts of the structures unfinished has developed, alluding to a sense of loss or emptiness. The challenge of balancing highly rendered areas with the underlying minimal framework of lines has become a focus, one that she anticipates will evolve as her exploration of the City continues to deepen. To leave the framework of the drawing visible is an attempt to reveal not only the immensity of the structure, but also the immensity of her grief. Press Press is open for biz! Help us celebrate on Saturday, Jan 14th from 7-10pm @ Press Press (427 N Eutaw St). Sounds by DJ Genie. All is free. 2. 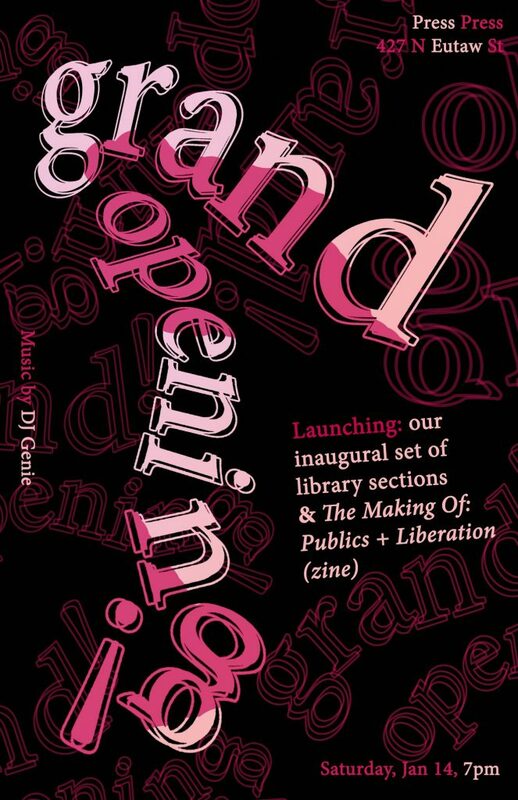 The Making Of: Publics + Liberation, a zine co-authored by Jenné Afiya, Fire Angelou, Emeline Boehringer, Kory Sanders, Kimi Hanauer, Sarrita Hunn, & Malcolm Peacock. Also featuring: Jessica Hyman, Brandon Buckson, April Lewis, Zoey Howell, Rain Ifill, & Ciera Vegas Adair. Press Press is supported by The Greater Baltimore Cutlural Alliance Ruby Artist Project Grant. More information at baltimoreculture.org. Guest Spot @ THE REINSTITUTE is very pleased to present thrones and dominions, a solo exhibition of recent works by Aaron Williams. This will be the artist’s first time exhibiting with the gallery. Aaron Williams’ exhibition thrones and dominions probes the paradox of socio-political re-contextualization of the art object in a world abetted by populist ideology. 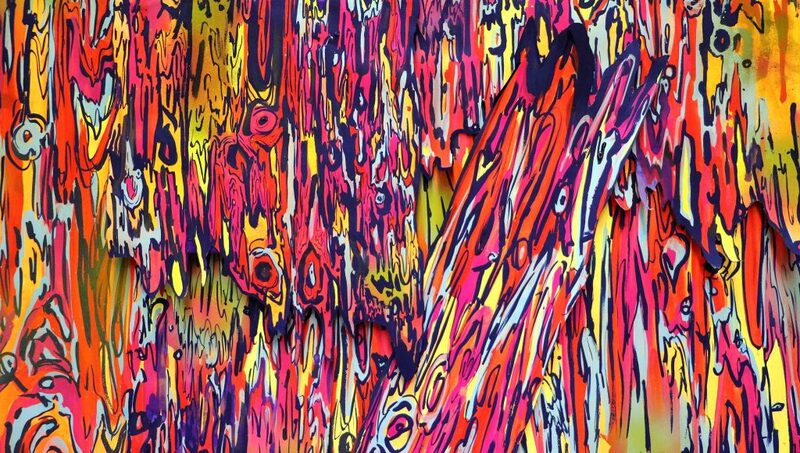 A new paradigm surrounds the art practice, forcing an acclimatization of it’s own demise. 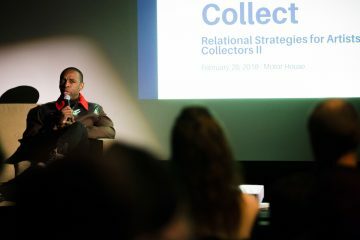 Williams examines the underpinnings of social economic dialog as heretically challenged, an authentication of abstraction as a mere montage to streamline wealth. The act of reason on principle alone is at odds with cultural production by an augmented conflation of knowledge. Today, the clash between liberal democracy and finance capitalism calls the monument into question. Inequality has become a symptom of structural shifts, creating a new hierarchy of values that denigrates our semiotic language. Art as alchemy is the reconditioning of the most basic of materials when combined with the power of idea. The purpose of art relies on a the ability to oppose Nihilism or authoritarian populism — yet our current circumstance is derived from computation, the influence of our own algorithm, a reinforcement of prior state. <><><><><><><><><><> CityLit Project Hosts Writers Resist Baltimore: Voices United! 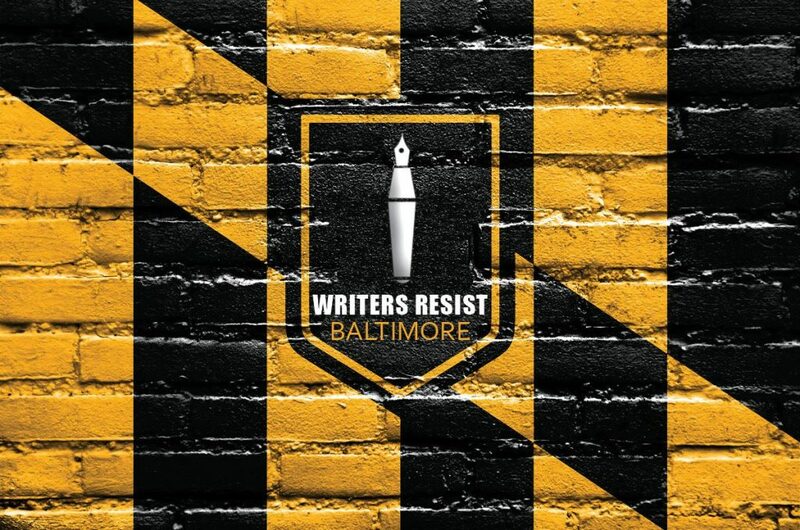 WRITERS RESIST BALTIMORE: VOICES UNITED! WRITERS RESIST is a “re-inauguration” of our shared commitment to the spirit of compassion, equality, free speech, and the fundamental ideals of democracy. On Sunday, January 15, 2017, Martin Luther King Jr.’s birthday, as part of a nationwide series of events, more than a dozen writers from around the state come together to raise their voices in support of inclusivity, understanding, community, connection, civility. TRUTH. We will not be silent in the face of racism, divisiveness, and hatred. The spirit and mission of CityLit is to build and connect communities of avid readers and writers across Maryland. Since 2004, we have worked diligently to create programs and design platforms that give writers—all writers, and the communities they represent—a voice. Join us in Baltimore, and writers all over the U.S., for this historic event. A GROUP CONVERSATION moderated by Marc Steiner follows. AFTERWARD: connect, buy books, share your words and ideas on our comment wall. Dovecote Café will be selling delicious baked goods and EMP’s bar (donations appreciated) will be open! Proceeds will be donated to THREAD. Residents of Baltimore and surrounding areas are invited to take part in the 17th annual Dr. Martin Luther King, Jr. Parade which celebrates the life of one of America’s most influential civil rights, political and social icons. The Baltimore Office of Promotion & The Arts celebrate the 17th annual Dr. Martin Luther King, Jr. Parade. 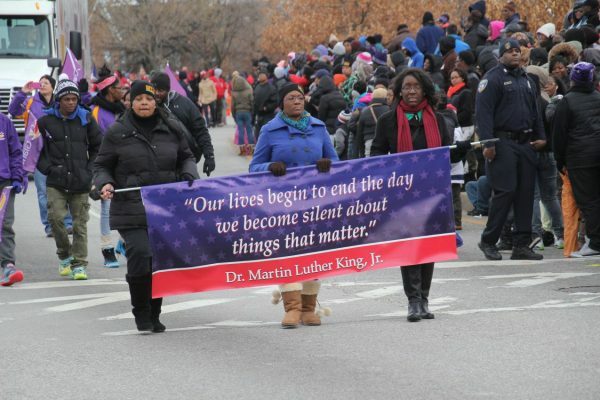 The parade commemorates the life of civil rights leader and icon Dr. Martin Luther King, Jr. on Monday, January 16, 2017 at noon. More than 50 groups participate in the parade including high school and community bands, honor/color guards, equestrian units, fraternities & sororities, lively dance squads and civic organizations. A wide variety of organizations and performance groups from around the region march to honor the legacy of the late Dr. King. For more information on the Dr. Martin Luther King, Jr. Parade, call 410-752-8632.